You drink it every day. You often drink it several times a day, beginning with breakfast – or on your commute to work – and then when you arrive at work and throughout the morning or afternoon until quitting time. You may even drink it at dinner. (Brave you, who has no worries about not being able to get to sleep at night). You go to special places to buy a cup from people known as baristas who place whipped cream atop of it and caramel sprinkles on top of the cream. You ask that they steam it or that they chill it with ice. And you want 32-ounces of it. Now. This beverage of course, is coffee. It’s such a part of our lives today that most of us can’t conceive of a day without it. But how much do you know about coffee? Do you know who first discovered that a coffee bean could become a drink? What civilizations first began to drink it? Why it’s become such a popular drink the world over? And why (oh, why!) someone decided that placing whipped cream and chocolate sprinkles on it was a good idea? According to the NCA, Arabs were the first to cultivate coffee and trade it. Coffee was grown in the Yemeni district of Arabia by the 15th century and made its way to Persia, Egypt, Syria, and Turkey by the 16th century. European traders told tales of this curious black liquid and it made its way to the European continent by the 17th century. Coffee was first enjoyed in homes, but coffee houses soon sprang up throughout Western Europe. By the middle of the 1600s, London alone was home to more than 300 coffee houses. Coffee came to what is now the United States when settlers of New Amsterdam (now Manhattan) brought it with them from Holland. We can thank the Sons of Liberty and their Boston Tea Party for making coffee the preferred drink in the U.S., as these colonists dumped tea into Boston Harbor in December 1773 as a protest against the heavy tea tax imposed by England’s King George III. Colonists moved away from tea as their beverage of choice and started drinking coffee as a result. Fast forward to the early years of the 20th century. Coffee had been too expensive for anyone but the wealthy, but that changed in the early 1880s when coffee, according to NewYork.SeriousEats.com, ships powered by steam (instead of sail), paper packaging and additional progress roasting technologies, allowed coffee to become affordable enough to become the drink for everyone. Starbucks got its start in Seattle in 1971. Purchased by Howard Schulz in the later part of the 1980s, the coffee company introduced espresso drinks to the masses and, well, you know the rest. 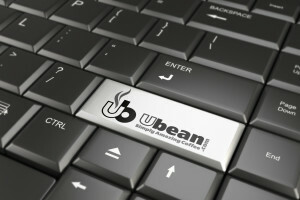 Today, coffee companies – as we do here at Ubean.com – are trying to work directly with coffee farmers to produce a quality product. This provides a better bean to you, the coffee lover, and it also gives the growers more money. We also want to ensure we help maintain sustainable coffee growing practices while practicing business justly and fairly for everyone. As popular as coffee became in Europe in the 17th century, some people were distrustful, calling it the “bitter invention of Satan” due to its energy-producing properties. Coffee houses in Western Europe in the 17th and 18th centuries sometimes were called “penny universities,” because a penny would buy a person a cup of coffee and the chance to engage in lively, and sometimes educational, conversation in the coffee house. Businesses sometimes sprang from these lively coffee houses. The huge financial and insurance firm Lloyd’s of London, for example, sprang up out of Edward Lloyd’s London coffee house (according to the NCA). The NCA surveyed Americans in 2013 and found that fully 83 percent of U.S. adults drink coffee in the U.S. And, yes, we are the biggest consumer of coffee on the planet. That 83 percent figure comes to an average of three cups of coffee every day per person, or 587 million cups. The coffee “industry” in the U.S. is a $30 billion dollar industry, according to an April 2013 article on USAToday.com. Who Had the Great Idea to Add Whipped Cream to the Top of Coffee Drinks (The Dessert-ification of Coffee)? This is hard to ascertain, as people have been adding cream or milk to their cup of coffee for a long, long time. However Black Enterprise magazine in November 1993 reported on how one could add whipped cream to a cup of espresso to create espresso con pano.